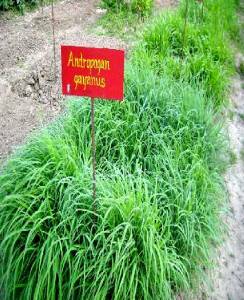 Andropogon gayanus (Gamba grass) . Also known as ‘sadabahar’. This is a native to tropical Africa. 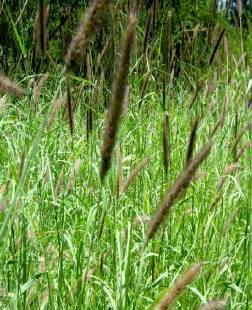 It is a tall tussock grass and is adapted to a variety of soils from sandy to clay soils. It is a good grass for drier region. It tolerates deep seasonal flooding. The crop can be propogated through rooted slips or seeds lightly drilled. This is native to Uganda and adjoining east African countries. 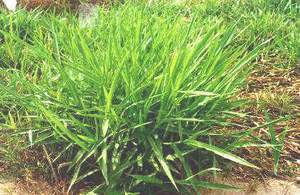 This is a vigorous, trailing perennial grass. Erect shoots develop from a long, prostrate stolon. 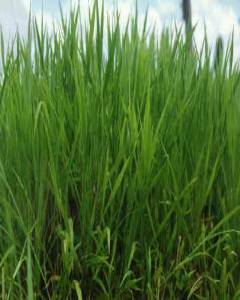 This grass is adapted to humid tropical areas of rainfall not less than 1500 mm. Propagation is by seed and by slips. 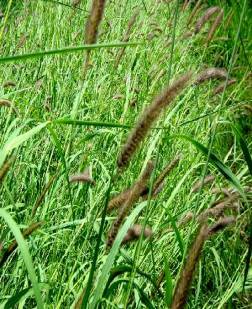 Also known as buffalo grass./water grass/ Angola grass/Mauitius grass. This is a native to tropical Africa and South America. 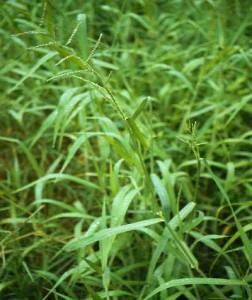 Para is a rather coarse and vigorous perennial grass spreading by means of stout stolons which root and branch readily at all nodes. 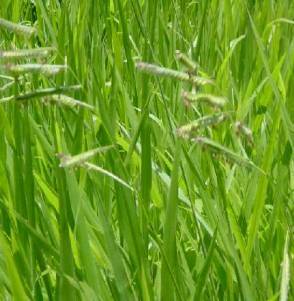 Important characteristic of para grass is its adaptability to wet conditions, water logging and prolonged flooding. Propagation by slips or stem cuttings. Propogated by slips or stem cutting-27000 to 40000 slips/ha. This is a native of African Congo; vigorous, prostrate to semi-prostrate, perennial and leaves are soft, covered with fine hairs and sharply pointed. Under Kerala conditions, it has a long vegetative growing period and flowering in September-October and seed maturing in December. 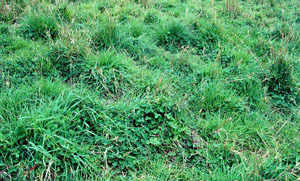 Under grazing system it forms a dense mat. 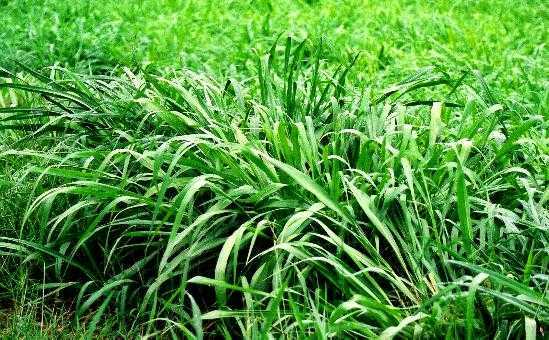 The grass is palatable, withstands grazing well and produces high dry matter yields. Water requirement is high. Propagation is by seed, slips and stem. It does not tolerate water logging. Being shade tolerant, suitable for intercropping in coconut gardens. Harvested after 50 days after planting and subsequently at 30-40 days interval. This grass is summer growing, deep-rooted, perennial, drought tolerant rough, hairy and having good persistence against heavy grazing and burning. This is best suited for areas of rainfall of less than 1000 mm. Popular fodder crop of tropics suited to agroclimatic condition of Kerala. It is a tall growing perennial forming dense tillers, which enlarge by short rootstocks or short creeping rhizomes. Leaves are long and broad. 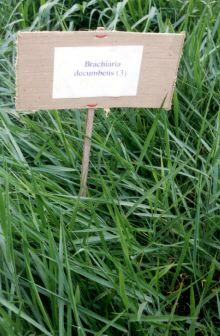 This grass is adapted to a wide range of soils and is drought and shade tolerant. Propagation is by seed and slips. 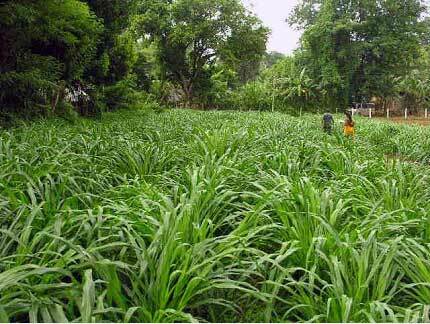 The grass is recommended for cultivation in coconut gardens. 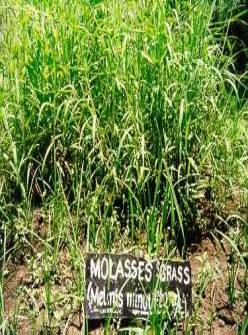 Makueni is a drought resistant cultivar suited for rainfed condition. Setaria forms dense tillers and spread by short rhizomes. Leaves are long, thin and hairless. This is very much acceptable to cattle and has high digestibility. This is relatively frost tolerant and also withstands water logging to some extent. Propagation is usually by seed. 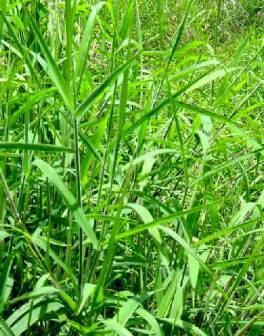 This grass, a native of tropical Africa requires a minimum rainfall of around 1000 mm. This is a tufted leafy perennial with loose trailing stems which may root from the lower nodes. The stems form a dense struggling mat. Leaves are flat, short, flushed red-green in colour and covered with hairs which exude a secretion with a strong molasses odour. It is suited for cooler climate. This is a cross between elephant grass and bajra. It is a native to Africa. It can be successfully propagated vegetatively in areas having minimum around 1500 mm annual rainfall and temperature range of 30°–35°C. Propagation is by stem cuttings, rooted stem and slips and never by seeds. Under sewage irrigation it can yield over 300 tonnes per hectare. Co2 and Co3 are the recent promising varieties.